Kelly Stewart - Woll & Woll, P.C. Kelly has made her work with Woll & Woll, P.C. a career endeavor. Her dedication to the legal field and constant pursuit of education and hands-on training, along with her childhood experience with divorced parents and as a divorced, single mother have made her a tremendous asset to Woll & Woll, P.C. In 1998, upon earning an associate’s degree in Legal Assistant Applied Sciences from Oakland County Community College, Kelly started with Woll & Woll, P.C. Over the next fifteen years, while expanding her practical legal knowledge through work at the firm, Kelly also earned her Bachelor of Arts degree in Legal Administration from the University of Detroit Mercy. Most recently, Kelly has completed specialized training in the area of Qualified Domestic Relations Orders, a critical, but often overlooked, aspect of asset division. 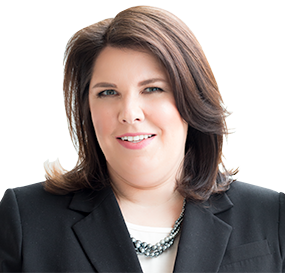 To complement her breadth of family law knowledge, Kelly’s compassion and strong empathy as well as her adept organizational skills make her a highly effective case manager and a trusted client resource.